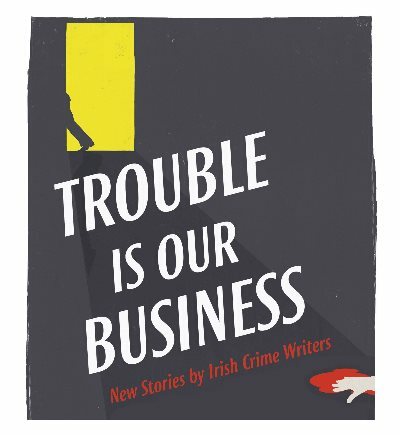 Trouble Is Our Business, a new anthology of short stories by leading Irish crime writers, will be published by New Island Books this September. Selected and edited by the crime writer, journalist and blogger Declan Burke, it has a foreword by Lee Child. The contributors are: Alex Barclay, Colin Bateman, Ken Bruen, Jane Casey, Paul Charles, Eoin Colfer, John Connolly, Sinead Crowley, Ruth Dudley Edwards, Alan Glynn, Cora Harrison, Declan Hughes, Arlene Hunt, Gene Kerrigan, Brian McGilloway, Patrick McGinley, Adrian McKinty, Eoin McNamee, Stuart Neville, Liz Nugent, Niamh O'Connor, Julie Parsons, Louise Phillips and William Ryan.